The Ultimate Fried Chicken Sandwich is back! Last year, Sydney-siders were lucky enough to taste the “ultimate fried chicken sandwich”, courtesy of the culinary collaboration between PappaRich and Morgan McGlone of Belles Hot Chicken. The tasty team up proved to be so successful, that they will now join forces again to launch the sandwich nationally across 30 stores, from Monday March 25. Every fried chicken lover’s dream, the “ULTIMATE FRIED CHICKEN SANDWICH” is served up with Morgan’s signature fried chicken, Malaysian slaw drenched with coconut vinegar and Pappa’s secret sauce, layered between PappaRich’s soft and fluffy Hainan bread. 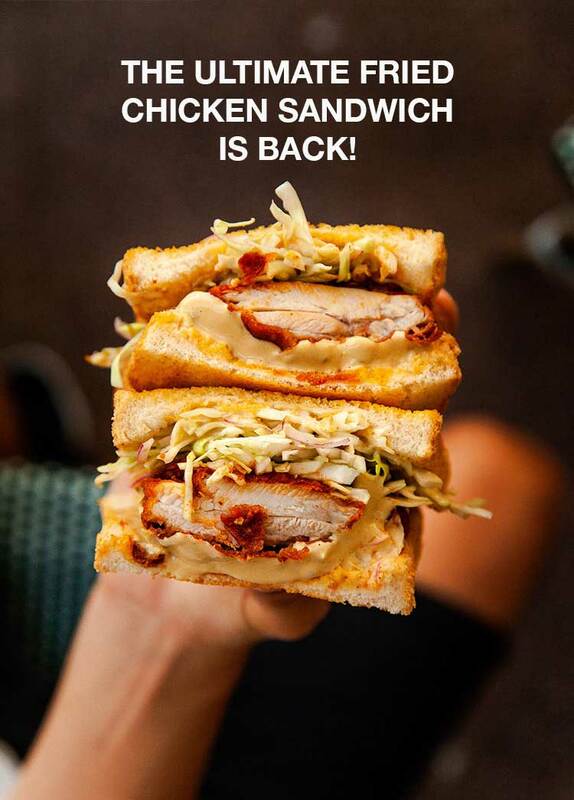 “We launched the sandwich in Sydney last year and it was a major hit. So, this time, we’re bringing the goods to our fans nationally, says McGlone. “This sandwich is next level – which features my secret chicken recipe with Pappa’s famed Hainan bread’. The Ultimate Fried Chicken sandwich is now available in-store for a limited time only! DONT MISS OUT! So, you’ve been admitted into your dream university, decided on a major you’re passionate about and everything is all set. Hooray! But here comes the reality check, those aforementioned were just first of many steps of the process, and the toughest part is actually going to university, branching out on your own and surviving! But fear not, there were many before you who have been through university life and survived, some even thrived! Below are some tips to help you ace that Uni Life like a pro. Do some legwork and explore - Familiarise yourself with your campus surroundings. Start with the main buildings and work your way through so you wouldn’t waste your time getting lost. This would save you precious time, especially if you’re running late for class! Make a friend or two - While you’re out there exploring, you’re bound to meet some new friends and possibly build lasting connections with them. Take it a step further and share authentic, nostalgic food from home like traditional Nasi Lemak, spicy Char Koay Teow with egg and bean sprouts, crispy and fluffy Roti Canai, a plate of tender and juicy Chicken Satay, with a side of crispy, mouth-watering Deep Fried Chicken Skin. You know what they say… food brings people together. Budgeting, budgeting, budgeting! - We all know that going to university is not cheap. Expenses like books, housing, food and transportation eat up your budget faster than you can spell “graduation”. Meal prepping is a great start, but when you’re inundated with homework, simply head to PappaRich to chow down a bowl of hearty and affordable Curry Laksa with all the works to keep you going. Stay healthy and don’t skimp on breakfast - University students are known to live an unhealthy lifestyle with the drinking, socialising, late night studying and even skimping or skipping their meals to stay on budget. That’s one thing you need to avoid! No matter how little money or sleep you have, make sure you fill your stomach to kick off your day right. Grab a Peanut Butter or Kaya Toast for breakfast on the go; especially if you have a full day of classes ahead of you. That way, you’ll have enough energy to focus on all the studying that needs to get done. Plan your time properly and don’t procrastinate - The learning process at university is vastly different from high school. For starters, students are expected to take initiative to complete their assignments and hand them over before they are due. By simply keeping on top of your workload, you’d be surprised how much stress you can avoid. 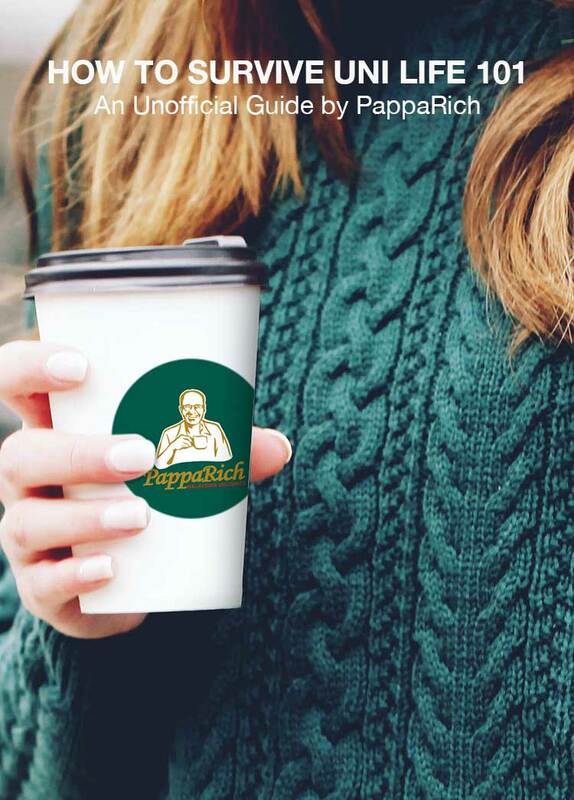 If you need an extra boost, grab a cup of aromatic premium white coffee on the go. University is the perfect time for you to explore and grow. Hang in there and make the next few years the best years of your life. Don’t be too harsh on yourself and enjoy the journey! It's PappaRich first ever soft serve! Not just any flavour but its Kaya! Available only in PappaRich Monash for now. 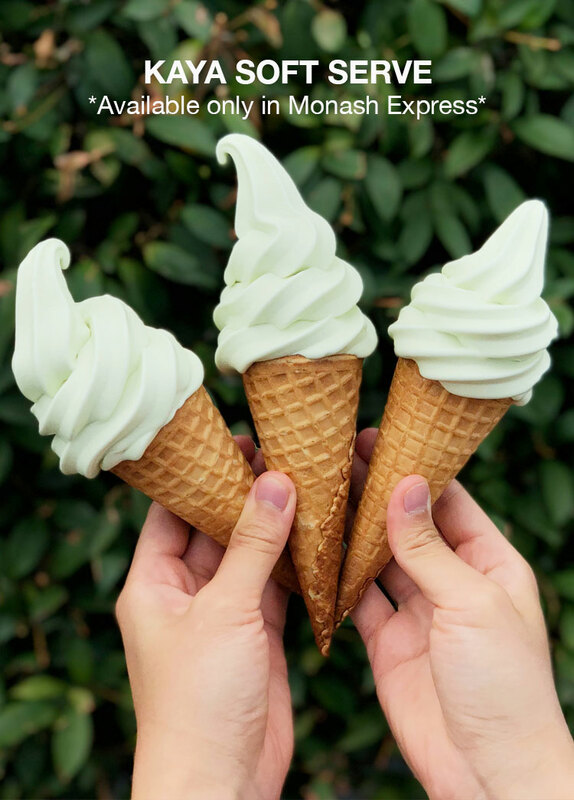 This Coconut Pandan flavoured soft serve is one you need to taste! Don't forget to let us know what flavour you'd like next! Don't Forget About Your Greens! You've probably heard some basic facts about leafy greens and how they are good for you. But did you know that leafy green vegetables are the most nutritious food on the planet?! They are a powerhouse of nutrients that serve enormous health benefits! A good thing to note is the darker the green, the more densely packed it is with nutrients! And you really can't eat enough of these leaves as they are the lowest calorie food juxtaposed with nutrition. 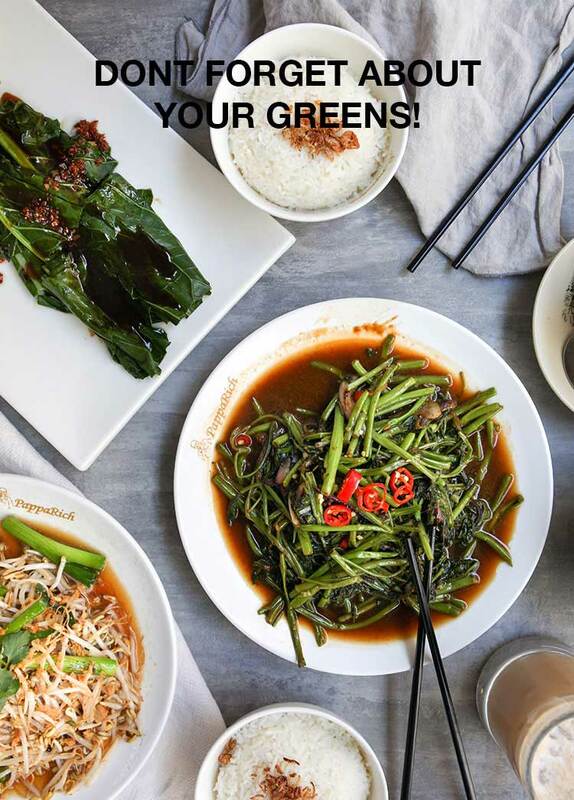 This is why Pappa's chosen 3 of his favourite greens to share with you! These are available in all stores except Express Stores.